Retail is a clean and uncluttered WordPress shopping theme. Support for WooCommerce and Wishlist plugins is included along with an auto-updating header cart, sticky add-to-cart panel on single product pages and a horizontal product filter widget area to help increase your e-commerce sales. The Retail theme has been developed with sales at the forefront of all aspects of the design. It is especially designed to help your online store maximize sales and improve your e-commerce shop conversion rates. The header area of the Retail theme comes with support for the essential product search form, as well as a dropdown login/account form, a dropdown shopping cart section and the optional auto-updating wishlist icon/link. The WooCommerce product filter widgets are an important part of your e-commerce website. If you have a large product range, filters are an essential part of improving the experience of your customers. With the Retail theme the product filters can be positioned to the left or right of your products in the shop sidebar. 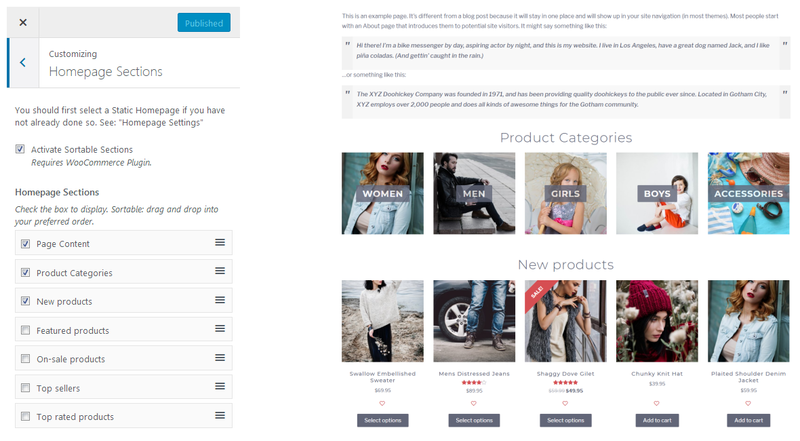 Alternatively with the Retail theme, the WooCommerce filters can be placed in the unique horizontal full width widget area directly above your products. 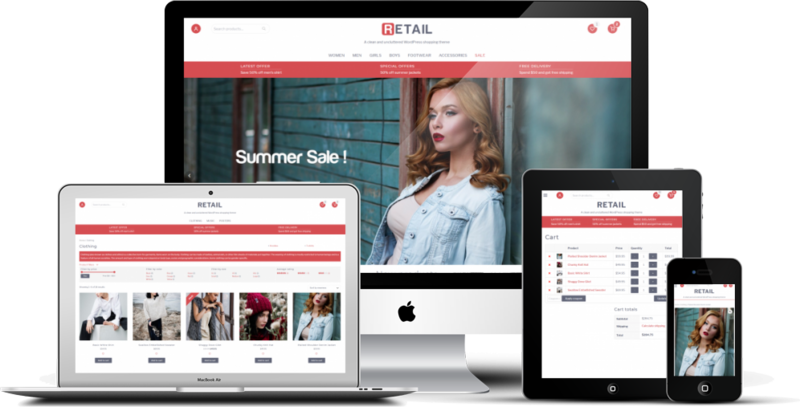 The Retail theme gives you a widgetized large slider/hero image area which is quick and easy to set up and make full use of, as well as seven sortable homepage sections.